Has it happened to you, too? In your mind, you’ve composed your next article. Perhaps while walking your dog or on your commute. You feel excited, because you know exactly what you want to write, and you think your readers will love it. Yay! You can’t put your thoughts into words anymore. Where have your words gone? You had such a bright idea, but now you feel lost. How did that happen? Was your idea rubbish? Where did it go? A flat-pack comes with instructions on how to turn a collection of parts into a bookcase. While it may seem like chaos at first, the outcome is pretty certain—as long as you follow the instructions step by step. Not only do you need to collect the “parts” yourself, you also have to find your own method of assembling those parts into a shiny piece of content. And what’s more, creativity means stepping into the unknown: The outcome may be a little uncertain or completely shrouded in mist. Writing is thinking; and thinking is tough. Writing is communication; and communicating with clarity is hard work. Writing is a creative process; and creativity seems a fickle beast. Many writing coaches may advise you to follow a specific process—as if an IKEA method for writing exists. But what might work for your writing coach, might not work for you and me. We’re all different. So how can you get rid of writing frustrations? And how can you turn yourself into a productive writer? How can you put fleeting thoughts into solid writing? Well, it depends. Are you a carpenter, a knitter, or a free spirit? Years ago I used to futz with every sentence, but then an editor told me something that really made sense. He said that when a carpenter builds a piece of furniture he doesn’t first make one side, perfect that, and then construct another side and perfect that. He must build the entire frame and then go back and put the finishing touches on each section. Even when I am on deadline, I think of what I write first as an imperfect frame that will be improved later. Steven Pressfield applies this same method when writing fiction. He calls it the “clothesline method.” On his clothesline, he hangs a series of scenes and sequences to decide what’ll happen in his book. Some people find this process too structured; they’re afraid it might kill their creativity. But an outline is not a straightjacket. Your outline might be a short list of questions you want to answer, a list of steps your readers must take to solve a problem, or a detailed list of arguments why readers should hire you. As a writer, you’re in charge. You can make your outline as detailed or brief as you like. You can follow it meticulously or remain open for new ideas. It’s often a matter of personal preference and how familiar you are with the piece of content you want to write. For instance, when writing sales copy, I plan meticulously. But for tutorial-style articles (like this one) I’m more open for fresh ideas and my outlines are brief. For a book, I outline what goes in each chapter, but I might write the chapters themselves more loosely. With freewriting, you start writing without quite knowing where your content will end up. You write as fast as possible to uncover new ideas. [Freewriting] pushes the brain to think longer, deeper, and more unconventionally than it normally would. By giving yourself a handful of liberating freewriting rules to follow, you back your mind into a corner where it can’t help but come up with new thoughts. You could call freewriting a form of forced creativity. Practiced regularly, [freewriting] undoes the ingrained habit of editing at the same time you are trying to produce. It will make writing less blocked because words will come more easily. You will use up more paper, but chew up fewer pencils. In your natural way of producing words there is a sound, a texture, a rhythm—a voice—which is the main source of power in your writing. I don’t know how it works, but this voice is the force that will make a reader listen to you, the energy that drives the meaning through his thick skull. I use freewriting when writing more personal posts. I often have an inkling of what I want to write about, but the post often turns out completely different from what I had in mind. While the carpenter works from the big framework towards the nitty-gritty, the free spirit just starts and sees where her piece of content will end up. The free spirit often does a lot of revising to create focus and flow. Both carpenters and free spirits tend to leave editing last. They first get the content right before polishing each word. The knitter is different. He makes each part of the content perfect before moving on. One of the sacred cows of the creative thinking industry is that we should separate idea generation, execution, and evaluation, so that they don’t interfere with each other. But my experience as a writer and coach suggests that this isn’t how many creative professionals work. When I’m writing, I’m reading, evaluating, and tweaking as I go. I’ll write a few sentences then pause and go back to read them through. Sometimes it’s immediately obvious I haven’t quite captured the thought or image, so I’ll make a few changes before I go on. If I get stuck, I’ll stop and read through the whole piece, trying to pick up the thread of inspiration where I lost it. Once I see where I got tangled up, it’s a relief to untangle it and get going again. Experienced writers may thrive on the Knitting Method. But for beginning writers the risk is spending a lot time knitting perfect paragraphs that may later need to be cut. The process may feel more organic and creative, but can take longer, too. When I feel stuck writing, I might turn to knitting. Instead of finishing a first draft, I polish what I’ve already written. While editing, I might get an idea on how to write the remaining parts. So what’s the best way to write? No perfect writing strategy exists. And most of us mix strategies depending on what we write, how the writing goes, and perhaps even depending on our mood. Sometimes you may find yourself mixing all methods for writing one piece of content. What’s important is to pay attention to what works for you. When do you get in a flow? What triggered this flow? Can you repeat it next time? There is a fine line between good planning and overplanning. You never want the planning to inhibit the natural evolution of your work. We all need a process to keep producing and to pull us through when we feel stuck. But we also need room for surprise. When we’re open minded, we discover unexpected nuggets of wisdom, fresh ideas, stories, or metaphors. So find your own balance between planning and openness. Because that’s how you find your flow, quieten your inner critic, and discover the joy of writing. I liked the versatility of the options you explained and the way you explained them. Most articles that propose a writing technique are harsh and focused, it either fits you perfectly or nothing at all. I felt relieved by finding multiple approaches to the same problem. Also, will give it a try to “Accidental Genius”. Sounds convincing. I think most articles focus on one writing strategy, because that’s the easiest way to teach! To be fair, the main focus in my own courses is also on the carpenter’s method, but I do mention other methods and how to go from freewriting to a finished piece of writing. I think it’s good for everyone to experiment. Had to pull out the Funk/Wagnall’s on the “quieten” word, but you were correct. Nice article appreciate the post. Good to know you’re still around, Joe! Good planning and overplanning. That’s where I get caught. I start trying too hard to fit into the plan and everything dries up. But maybe sometimes I just have accept that my ‘planning’ involves a topic only and be okay with that. You’ve changed a couple things on the website, looks good! And the drawing is fabulous! 🙂 Very creative! I love that quote from Twyla Tharp; it seems to summarize the tension of creative work quite well. And the fine line between planning and overplanning is different for us all; it’s not easy to find the balance, but I do think when writers find their own balance, they become more productive. Oh, you’ve addressed a problem I’ve encountered lately. I am so glad! I heard of others planning out the entire year of blog posts, in late December. I was so happy–I would have topics ready and waiting for my fingers to make new posts, according to my 52-entry list. It has felt so mechanical, forcing myself to outline something–anything!–just to make a post happen. Not the natural flow. I remember days when after reading in the early morning, I would just write from the ideas floating in my head, spurred by what I’d read. How I loved that! How much of me lives in those words! Now, it’s all making sense. Perhaps there is a time for everything? Haha! Probably, mostly, I am a carpenter. Like a friend of ours who makes guitars and violins, there is a right way and a wrong way, and he does it right. (I hope I do, too.) But then, he also paints amazing designs on his almost-finished works. Layers and layers of paint, alternating with varnish, create almost iridescent images of such beauty, it’s almost a shame to use the instrument. I hope I am like him in that way, too, when it comes to putting on the finishing touches of my work. So if I build like a carpenter and so finish work like an artist (instead of vice versa) I will do well. I hope. At least is makes sense to me. Finally. Thanks! I like having freedom in choosing an idea, too. I have a list of ideas, but I pick the one I feel most excited about on a particular day. I love your story about your friend making guitars and violins. It shows so beautifully how creativity can thrive while facing constraints. This, in my view, is the same as when following an outline: you can still add color to your content; it doesn’t limit your creativity, it just channels it. I resonated with the carpenter analogy. For me, to perfect as I go along kills my creative thought processes. I want to get my ideas on paper before I forget them. So, for me it is best to write first, then go back and critic and change things that need to be changed. Yes, that’s the most common way for me to write, too. And also the fastest way. Thank you for adding your thoughts, Carol. I appreciate it! I’m big on frameworks, so, there ya go. I employ elements of all of them though. Thanks Henneke! Boy can I relate to this post. Words and thoughts often “leak” out of my head at the most inconvenient times. Or I start to write, then immediately begin to edit. That usually stalls the creative process. If I free write, I wander too much. Writing is a tough gig. Your words inspire and encourage. Thanks for hitting the nail on the head once again. If you find that editing stalls your creative process, then you might want to try the carpenter’s way. What helps me when writing my first draft is to keep a timer going and to challenge myself to get as much of my post written as possible in two (or three) chunks of 25 minutes. The timer keeps me moving on, and stops me from going back and editing. 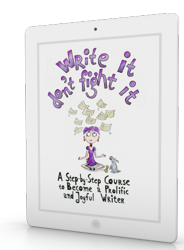 Writing faster can help outpace my inner critic—she doesn’t get a chance to speak up. And if you do this based on a rough outline, then you won’t wander too much. I appreciate your comment, Barry! A fun and useful article as always. I know I’m the free spirit type, unfortunately it sometimes makes the editing tedious but it feels closest to what I try to say (usually). I’ve been trying voice to text tools as I found, that like others, good sentences or clear reasoning come to me when I’m doing something else, my story percolating in the background. Those sentences then become the clotheshangers. Voice to text is an interesting idea, too! I’ve tried dictating my blog posts, but the software struggled with my Dutch accent and I was too impatient to train it properly. The dictation went so slow I was losing my train of thought. So I gave up. I can see it working, though, when you have a “normal” accent – either for dictating snippets (I like your hangers!) or full posts. So, as I have always known, I am a knitter. It is just important to realize that one’s students are not all at the same level of knit & purl. I have also found that even experienced writers may benefit by using a solid structure. At times. I do think that, in the end, most people who write a lot will internalise the structuring – when we are talking short pieces of text. It is what I have seen journalists do all the time – they build their articles up from the first sentence. They free-knit, and the structure builds itself. Your point about short pieces is pertinent. Knitting short pieces of text is a lot easier than knitting a whole book. Knitting a whole book is probably also possible, but a bigger challenge! Do you find journalists use different tactics for writing weekly columns vs long, in-depth articles? Of course: you could not write a book just by beginning somewhere (although that is exactly what Lee Child does, and he is an über-bestselling author, so even here there is no telling what works). But a blog post is a short piece. As a journalist, I would make an outline for articles over 2000 words. Yes, that makes sense – a brief outline for longer content. I think for inexperienced writers a 1,000-word blog post can feel like 2000+ words. I know some fiction writers let the story tell itself without deciding the plot beforehand. I’ve not come across people doing this for non-fiction. But who knows … it might work for some! I think it’s fascinating how everyone writes differently. You mean for experienced writers? Yep. Well I am sure there must be essayists who write character driven essays, as it were 😉 Ann Lamott comes to mind. To me it feels like she writes very associatively – if that is a correct english word. Yes, that’s an interesting one. I only know her book Bird by Bird. I guess that type of writing borrows a lot of storytelling techniques from fiction (or journalism). Borrows? Ha, I almost feel insulted for her 😉 She is a marvellous, marvellous essayist. I would say most people have borrowed from her rather than the other way around. But seriously: in my opinion there are no borders between the different types of writing. There are only different media and purposes. Writing is writing. Sometimes you use this technique, the other time that. It is one big fluid thing – thoughts put into words. Associations geven free reign or kept on a tighter leash. I do think some methods work better for different types of content. If you’re writing, for instance, a textbook about a specific topic (whether for business people or school children), you have to be at least partly a carpenter as you need to decide what your readers need to learn and which questions you must answer. With “borrow” I only meant, it’s quite close in terms of style to writing fiction. Just like memoirs. In a memoir, you can let a story tell itself. This is harder to do in a textbook which needs to be more organized rather than associative. I love Lamott’s book Bird by Bird. And I wouldn’t dare to insult her! I freewrite when I’m in the flow. It’s almost like automatic writing. Sometimes I can’t write fast enough to keep up with the words pouring out. It’s a wild ride! On non-flow days, I knit from a sketchy outline so I don’t forget an important point or to slide in a relevant story. I always enjoy your articles, Henneke. I love how you vary your writing method depending on whether you can find your flow or not! Thank you for stopping by to add your thoughts, Diane. I appreciate it. Henneke, Thank you. The ” Knitter” was new to me. The Carpenter and the Free Spirit I was familiar with. In the novel writing world the Carpenter is known as a Plotter. The Free Spirit is known as a Pantser. ( As in write by the seat of the pants.) To plot or not to plot that is the question. There is no telling how much computer memory has been used for the loud and constant “debate” between the Plotters and the Pantsers. Thanks for the Knitter. I’ve also heard about the difference as Architects (Plotters) vs Gardeners (Pantsers). I think the “Knitters” are most similar to the Pantsers as they also let the story tell itself. The difference in fiction between Pantsers and Knitters would be that Pantsers edit more after the story has been told, while Knitters edit as they go. Lee Child (mentioned by Kitty above) is Knitter. Thank you for adding your thoughts, Curtis. Always appreciate them! I look forward to your post about this! I think there’s to plot vs not to plot – this is the major difference. But there’s also the question of whether you mix up writing & editing or leave your editing until last. I started reading your article and I thought, “Hm, I’m a Carpenter.” Then I thought that I’m a Knitter too. I guess I’m trying to be less a Knitter because, as you said, it slows me down. What I didn’t try for a very long, is free writing. I love it but mostly use it for writing other stuff than blog posts. I’m so cautious about not saying something “wrong” that I always research a lot, think a lot… overthink too ? I haven’t read much about writing (except for your course) so I didn’t worry about my writing style being messy. (One of the bright sides of not-knowing?!) Now I learned more about it, thank you for that. And for the message that it’s ok to mix different styles up as long as it works for you. Meaning I still don’t have to worry about HOW I write. ? You may also find that it depends on what you write – a fairy tale or story may tell itself, so you can knit. A more tutorial-style post may require more carpenting so you can write it quicker. Yes, and on the mood too. I agree. After all, getting to my destination is what I want. Thanks for putting together this nice little toolbox, Henneke. I’ve used all 3 methods to write, but usually end up knitting. But most of my writing that gets published is copy for advertisements. If I were writing longish articles or a book, I’d probably try to start with a rough outline then freewrite the chapters or sections and let them go where they want to go. Then the knitting would begin. Another method that can work nicely is to try to get to a powerful opening that energizes the piece, then let the momentum carry you for a while. It also suggests how to bookend your writing to make a satisfactory ending. In the case of an ad, it’s almost always going to be an evocative headline that creates momentum. When copywriters write a series of conceptual headlines, often the best one becomes the head, and the contenders find their way into the copy. This same technique could work nicely for an article, where the contenders become the subheads. I like your suggestion of a toolbox, because we can mix the tools depending on the content and how it progresses. I like your suggestion of letting content develop from a powerful opening. I must try that some time! I mostly find myself writing my opening last (after I’ve written the whole post). Thank you for adding your thoughts, Jon. I appreciate it! yes outlining I have been doing with writing my books it gives me a good idea what I am going to write about. Being clear about what I want to say I am just drilling myself on now, to get the Illustrator to understand what I need. Not that easy, obviously something I need to work hard on right now. Like your post it is as always encouraging. Being clear about what we want to say can be surprisingly hard. Sometimes, ideas have to simmer for months before I finally can be clear about what I want to say. For instance, I’ve wanted to write this post, for many months already, but I didn’t know what I wanted to say exactly (and my thinking is still evolving). Don’t give up! Anyway, appreciate the insightful guide once again. Thanks Henneke! Yes, that’s it. The different tools can be a good way to get unstuck. When one tool doesn’t work, just switch to another one. I like how you’ve put that, Nazir. Thank you. You are the genius and a perfect educator. Learning something special from you. Thank you for displaying such good moment. Thank you, Sujit. Happy writing! Thanks for the inspiration. Well penned, I read your caution, though each tree is important don’t focus on just the one as you may lose the whole forest. Over planning has a way of watering down creativity. I’m guilty, but I will lighten up. Ah, yes, the forest and the trees – that’s a good point. It’s tricky with writing because you need to get the picture of the forest (the main message, the flow of the content) right as well as water each tree (rhythm of your sentences and word choice). So it’s a tricky balancing act. As always, I appreciate your comment, Bernice. Thank you for stopping by. I love how you gave each one a name. Fantastic imagery and helped me understand perfectly what each of the 3 strategies is. Personally, I’m a big fan of the Carpenter’s method. I always love having an outline before I start writing. If I don’t, then I tend to waffle and waffle and waffle and…. yeah, you get the picture. The biggest mistake I see writers make (and one I used to be guilty of myself) is perfecting every sentence as they go along. Big mistake. Something that could have been finished in 30 minutes would take over an hour. Thanks again for a great read, Henneke. Yes, that’s true – freewriting amplifies our tendency to waffle. It happens to me, too. When I freewrite, I throw away the first 300 or 500 words I’ve written. It’s like I have to warm up my writing muscle before I can write something interesting. I’m glad you enjoyed this article, Tom. Thank you for stopping by! I’m a beginner blogger and a Knitter through and through. I never seem to hear anything positive about this style of writing. Sometimes I think I may be more of an editor than a writer. I can’t seem to write any other way. Do you think this might change with more experience writing? If it works for you, why change? I don’t agree with people saying it’s a bad way to write. Lee Child, for instance, writes all his books this way. And who’d say he’s doing a bad job? For some people, the downside of knitting can be that they spend too much time revising. If that’s the case and the revision frustrates you, then it’s helpful to start outlining. But for a lot of people, knitting works. We all have to find the method that works best for us. I think Freewriting is my style or maybe I could call it NOW-writing. How it seems to work for me is that I read something (or hear something) which sparks off a thought and I have to leave what I’m reading and just ‘go for it’ until I stop. I then would read through what I’d written and sometimes didn’t even do much in the way of editing before publishing it. I’ve since changed that strategy and now take a break before re-reading the post and then making edits and publishing. Or, I file it under ‘to be published,’ where it usually stays. Like Katherine, I too have planned my yearly Blogs/Newsletters, only to stare at a blank ‘Page’ wondering what on earth I could write that anyone might be interested in, especially me! I long for the time when I can be organized and systemized, yet, still be creative. I like your idea of “NOW-writing.” It sounds like your system works for you, so why do you need to get more organized? Is it because you’d like to be creative more regularly? What has helped me write more regularly, is to commit to a weekly schedule and then spread my work over a series of days, so I never really stare at a blank sheet. The first day, I pick an idea and perhaps outline a few rough ideas of what I could include in a post. But I won’t start with writing until the next day (or two days later), so I have time to think about my article (usually on a walk). When I start writing, I already have a better idea of what I want to write. This has sped up the writing process and makes it less painful. I’ve been on a mission to become more organized for a while now and it’s beginning to bear fruit, and I kinda like that. Your weekly schedule sounds enchanting and would give me both the freedom and the organization that could work well together. Thanks for sharing, Henneke. thank you dear HENNEKE, I always go through your writings, you really inspire me. I’m about to write my book… I think all these your ideas will help me and as soon as I finish, I’ll send to you to review it. Thank you for your lovely comment, Steven. Good luck with writing your book! You’re right, of course. There is no IKEA method to writing. Can you imagine all those (blog) posts with missing screws? It was reassuring to read the different options – I’ve used them all. Different situations demand different methods. All too often we can read advice that tries to pigeon-hole us. Like, finish your first draft before even thinking about editing. Well, that doesn’t always work for me. Sometimes, as you mention, it’s more appropriate to reflect and edit rather than write. I’m glad I’m not the only one resisting being pigeon-holed into a specific kind of writer. Thank you for stopping by again, David. I appreciate it! I must confess that you explained every thing that I needed to start writing. Many times, I had some great ideas in my mind and a full length movie is being broadcast on the curtains of my imaginations but whenever I tried to put them on the canvas in real, I felt blank. But this blog post has changed some of the dimensions, and I will start writing my imaginations. Thanks to you for sharing worth reading tips. Hi John, I’m so glad that you feel inspired to start writing your imaginations. Thank you for stopping by. Happy writing! 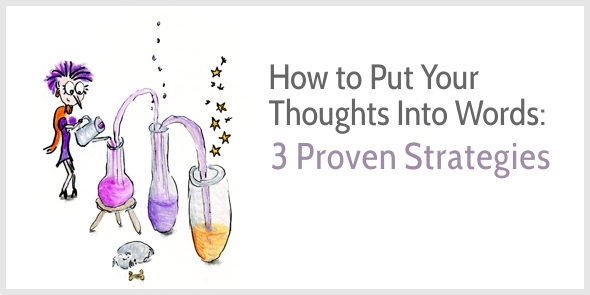 Cheers for these 3 spellbinding, and best yet, proven writing strategies. #Swipefile and #Shareworthy Appreciate the alternatives to the IKEA (no offence intended) approach. The crafty (knitter) artisan (carpenter) writer approaches are fab brainpokes. Your final reminder is a super takeaway. The important thing is that every writing strategy has its time and place; and we have the freedom to choose one, or none or mix as we desire or serve it as our audience needs. And yes, if the hammer doesn’t work, then try your knitting needles to get your writing done. Always good to “see” you again. Good to be “back” ? March was a fog of tough slogging. Now emerging on the sunny side and happy to be catching up on reading my fave blogs ? Happy bank holiday weekend to you. I really had problem writing my posts. I used stuck on single word for hours. I read your article yesterday. My writing speed has increased very much. Before reading your post took me a whole day to write one article. But now it only takes me 5-6 hours. Freewriting and The Carpenter’s Method worked for me. Wow, that’s a great improvement. Thank you for sharing that, Himanshu. If your writing is too dense, then add more examples or ask a good editor or writing coach to help you, so you can see how to improve. Here’s my problem with writing. The subject has been done before. What new revelation could I possibly offer on a subject that has been written by someone who has more authority on the subject than I do? I can’t compete with these pros. For example, The benefits of Low Carb Diets and why I follow one. Done to death. Look at the internet, book stores, blogs, TV shows etc. There are “dieting gurus” everywhere, writing everything and winning all kinds of awards. But the Rolling Stones, The Who, and Led Zepplin did not invent R and B they just modified it and made it their own. But they are Led Zepplin and the Rolling Stones ….. I am not a big authority on any subject or have incredible writing talent and I don’t play any musical instruments. Good article I’ll try to incorporate the above suggestions into my writing. Yes, everything has been written about before. Writing as a blog topic may not as popular as dieting, but it’s pretty popular, too, and every tip has been shared already somewhere by someone. So, you have to be different. Share different stories. Use different metaphors. Speak more strongly to a narrowly defined audience. PS And when I started to write, I wasn’t an authority, either. I built my authority through blogging and learned more with every blog post I wrote. I’m young and have no real life experiences but I want to write….but I can’t figure out how to start EVER and it drives me to the brink of insanity!!! Help please!! Of course you have life experience already. Imagine writing a letter to your best friend or an imaginary friend. What would you like to share about your life? What have you learned? What can you tell him or her about what you worry about? And what can you share about what makes you happy? I just can’t ignore your writing style and choice of words Henneke. It makes my eye balls roll with your “chew up fewer pencils .’ It’s true. Your writing tempts me, makes me a voracious reader. It helps. Thank you! What a lovely comment. Thank you so much, Susan. Happy writing!